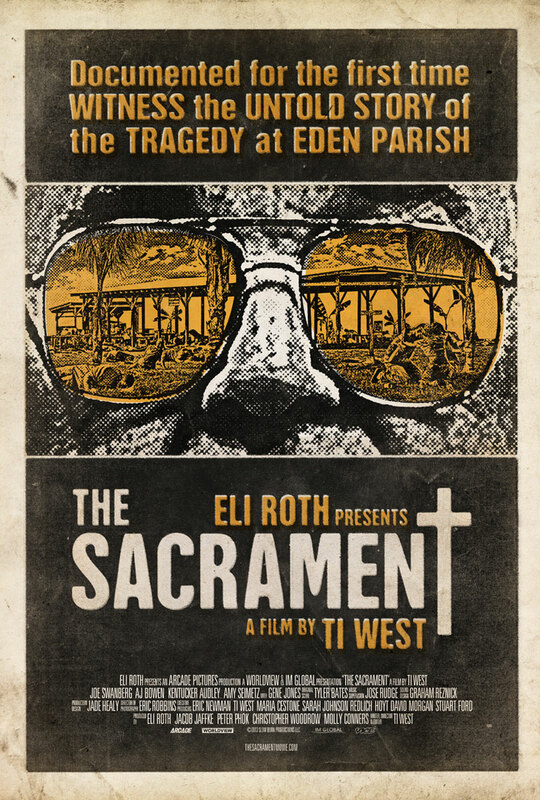 Ti West, one of the leading voices in indie horror, tackles religious cults with his most recent feature, The Sacrament. Three VICE reporters unearth the story of a Christian cult that has upped sticks to Africa to start a utopian society from scratch. However, as they arrive at ‘Eden Parish’, they begin to question whether things are quite as they seem. That’s all I’m going to give you plot-wise, but suffice to say that West delivers some terrifically chilling cinema. The scale of the movie is managed and maintain perfectly, and you can tell he’s in complete control of where he wants to take this story. The cast are also astonishing, and the three reporters (AJ Bowen, Joe Swanberg and Kentucker Audley) lead the drama brilliantly. Their performances are the definition of effortless naturalism. The more obvious acting prowess comes in the form of Gene Jones’ ‘Father’. He exudes menace and a mesmerising interview scene midway through sees Jones at the absolute top of his game. The less you know going in to The Sacrament, the better. So, please, go in cold and allow yourself to be immersed in what is one of the most surprising cinematic experiences of recent years.